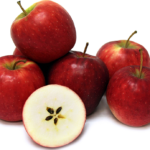 Swiss Apple Stem Cell has been extensively studied by many researcher. Scientists are conducting intensive research on stem cells, which show tremendous potential to repair damaged tissues and organs. This active ingredient won the prize in European Innovation “Best Active Ingredient” in 2008. It is a revolutionary technology designed to protect human skin stem cells with the help of stem cells from a rare Swiss apple. This precious ingredient helps to gives effect as anti-wrinkles, age-delaying effect, to maintain stem cell growth, protection against UV radiation.